When we practise Qigong, we must understand and know about the Ren 任脉 and Du Mai 督脉. The Ren Mai runs down the front of the body along the centre. 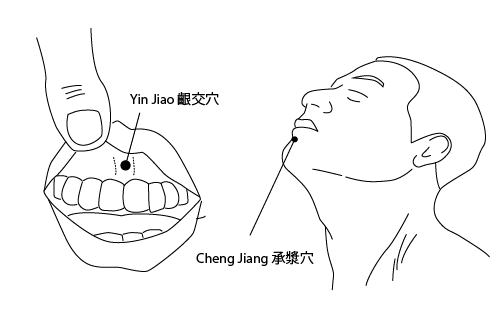 It starts at the Huiyin 會陰 point between the legs to the Cheng Jiang point 承漿穴. The Ren Mai controls the blood, the more blood we have the smoother the Ren Mai. 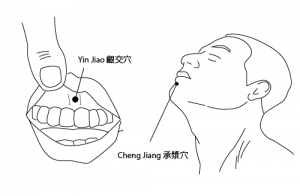 Therefore when we practise Qigong we should close the mouth so the Qi can run through the Ren and Du Mai. It is best if the Qi rises up the Du Mai and then comes down through the Ren Mai. Whenever we start a Qigong form we raise up our hands, the Qi rises up the Du Mai, we then lower our hands in front of us to the Dantian and the Qi passes down through the Ren Mai.